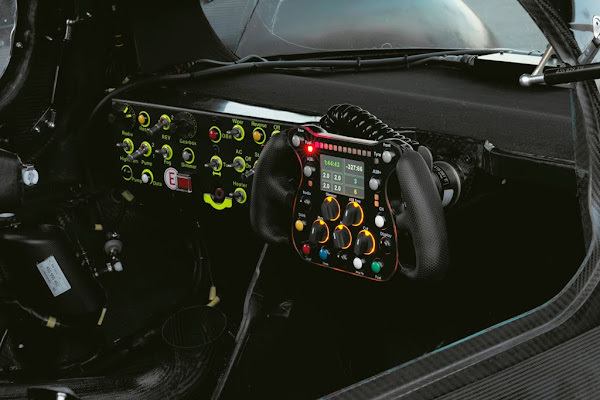 When first revealed last December, the Audi R18 TDI broke the mold of more than ten years of open-cockpit, Audi Le Mans racers. 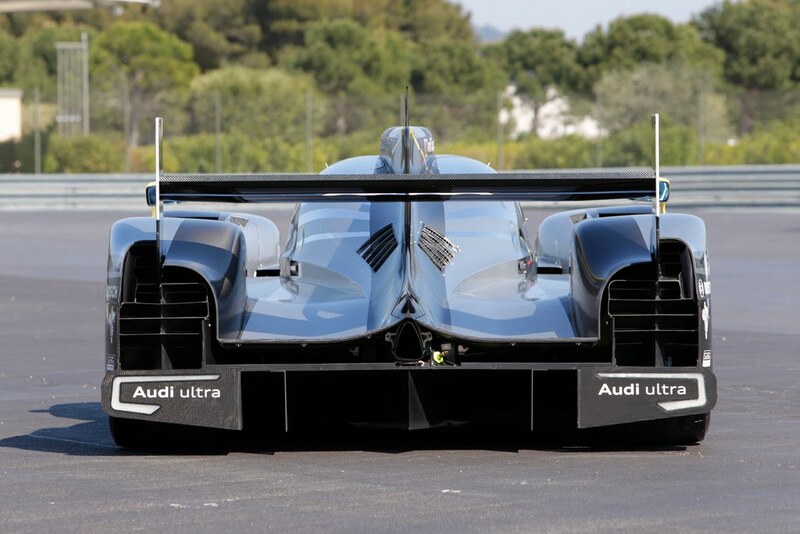 There is more to the R18 than just its new, sinister design however. Thanks to revised regulations for the 2011 season, the Audi R18 boasts an all-new 3.7-liter, V6 TDI engine. Audi Sport has put together a detailed look at the new diesel, explaining everything you've ever wanted to know about Audi's latest Peugeot-pounding TDI. Full report after the jump. 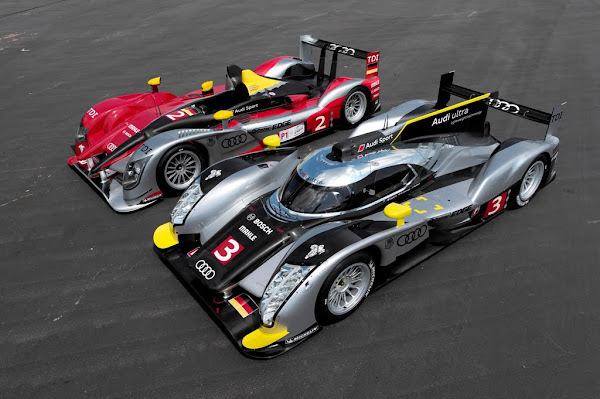 Ingolstadt, April 28, 2011 – The new Audi R18 TDI with which Audi targets its tenth victory in the famous 24 Hours of Le Mans on June 11/12 is ready today with "tomorrow’s” technology. During development of the new LMP1 sports car the integration and future electrification of the powertrain and various possible concepts for energy recuperation have been taken into account. 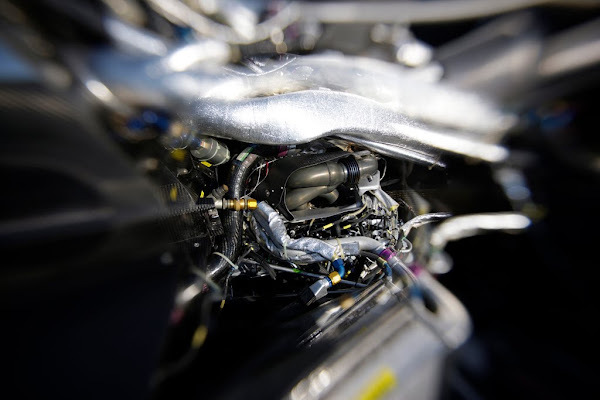 New regulations devised by the Automobile Club de L’Ouest (ACO) and introduced this year dictate significantly smaller engines. Audi has chosen a particularly compact 3.7 liter V6 TDI engine, which is about 25 per cent lighter than the V10 TDI power plant previously fitted to the older R15 TDI, and which leaves all options open for the technicians with regard to electrification and energy recuperation. "This would not be the case with a V8, for example, which is also permitted by the regulations,” explains Ulrich Baretzky, Head of Engine Development at Audi Sport. However, Audi does not only surprise with its extremely compact engine. The concept is also innovative for an LMP1 sports car. 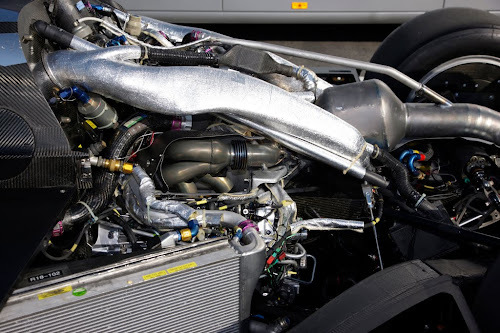 To lower the center of gravity as much as possible and to improve airflow through the car, the exhaust manifolds were migrated from the left and right hand sides of the engine to sit between the two cylinder banks. "Hot side inside” is the name given to this concept by specialists, which was implemented in similar form in Formula 1 in the 1980s. 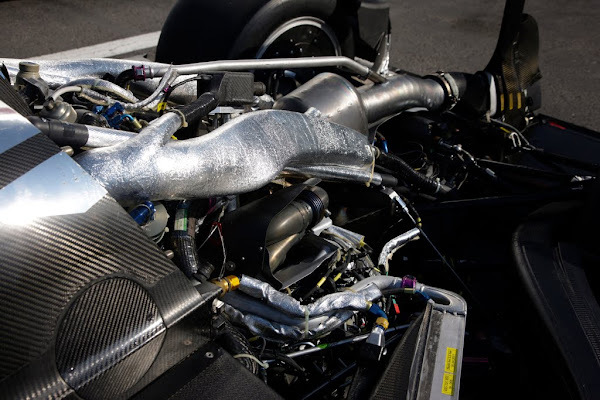 But the V6 TDI engine powering the Audi R18 TDI, which has a cylinder angle of 120 degrees and thus an extremely low center of gravity, is technically generations further along the line and is also a technology-demonstrator for future production engines. In contrast to previous Audi Le Mans sports cars, which all had twin turbochargers, the R18 TDI is quite logically now only fitted with a single turbocharger that also sits above the engine and draws its air directly through the air scoop mounted on the roof. "In this way we are able to convert the dynamic pressure generated at high speeds with minimal losses into power,” explains Dr. Martin Mühlmeier, Head of Technology at Audi Sport. The mono-turbo concept developed in cooperation with Garrett was only made possible by the variable turbine geometry (VTG) already used victoriously in the R15 TDI. "Otherwise the response characteristics of such a large turbocharger would just be too bad,” explains Baretzky. 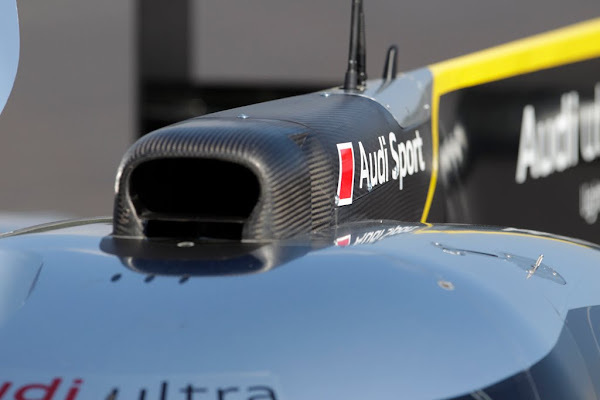 Audi Sport has worked since July 2009 on the innovative engine concept for which numerous new routes had to be explored. To control the enormous ignition pressures and loads now only distributed between six cylinders, a unique method of cooling the cylinder heads was developed for the aluminum power unit, a concept that could also be interesting in the future for production. Owing to the compact engine and uncluttered flanks, the airflow from the coolers can now exit practically unobstructed through the rear end. "We could increase the aerodynamic efficiency of the car as a result,” says Martin Mühlmeier, Head of Technology at Audi Sport. This aspect is even more important than ever before at Le Mans due to the reduction in engine power – for the Audi R18 TDI more than 397 kW (540 hp).